The exercises listed below are absolutely imperative on so many different levels. Whether your goal is weight loss, muscle gain, rehabilitation, heart health, or sexual euphoria, these five, fast and furious strength building, fat crushing, libido boosting movements will reboot your system and save you a fortune when it comes to visits to the doctor. Executed routinely and properly, you can look forward to discovering grand changes in your body and health! So what are these stunning exercises? This badass exercise operates by working the entire major muscle groups in the body, including the heart. Executed timely and properly, you can look forward to burning up to 35 calories per minute! Let me repeat that. 35 CALORIES PER MINUTE! Compare that to the 100 calories you burn doing 10 minutes on the boring treadmill. Firing up your legs, back, abs, shoulders, arms and overall conditioning, the kettle bell Swings are no walk in the park. Use proper weight, and keep 30 second bursts until you condition yourself and build up to 1 minute. If you have weak grip, or dreadful balance, the Weighted Walking Lunge will work your neuromuscular efficiency and fire up those tiny muscles you’ve never used before. Besides being an amazing leg workout, these bad boy lunges provide the basis for efficient balance by firing up your neurologic response in your ankles, knees and hips. The extra weight lets your forearms burn while speeding up your heart rate and rev your metabolism to the max! Essential for fixing muscular imbalances, doing these lunges will also pave way for a significant increase in total body strength while allowing the body to release natural hormones catalyst for sexual health! Another total body exercise that increase strength in your legs and lower back. If you’ve never dead lifted before, and don’t know where to begin, seek help from a Personal Trainer in your gym. Don’t make it your mission to load up the bar and go for a Ronnie Coleman record. Keep it simple, slow, light and efficient. Technique is key. 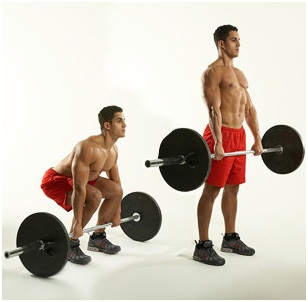 DeadLifts will add 20-30% strength to your max in any other exercise you challenge. Extreme source of libido booster, the lifts are tough, challenging, yet extremely beneficial for overall health. What better way to work on power, legs, cardio, and explosiveness, than squat jumps! If you want an exercise that’s got it all, include this vicious routine to your agenda. Doing 5-7 minutes of Squat Jumps, 3x a week may lower your resting heart rate, allowing your heart to work less to pump blood throughout your body per minute. For explosive legs and immense power, squat to jump. 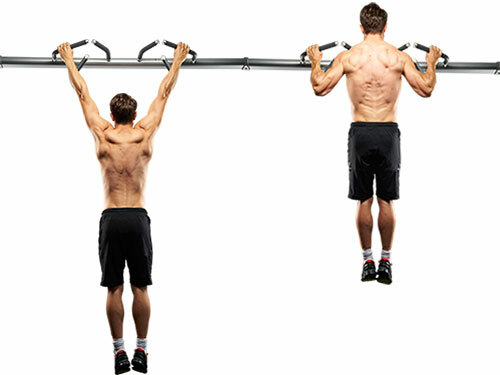 This lethal combo of push-ups and Pull ups provides the deadly bite of the two in one explosive exercise. Doing 8-12 reps not only is enough, but damn hard. Working the entire body, from your legs to your chest, from your abs to your lats, this absolute beast of a workout will get you the respect of everyone in the gym. An absolute testosterone booster, this exercise is no joke. Take a 30 second break and go at it again. Use as finisher! Do it 5 times, at the end of your workout to ensure you kill it off strong. These exercises aren’t for pansies. Doing them will provide you with not only a great workout but vindicate to you that you do have it in you! That you can surpass what you thought were your limits. Earn the respect, with hard work. Earn the body with dedication. And earn a healthy life long journey through decisions you make everyday.